Karly and Lisa reflect on and celebrate the past 6 months. Taking time to stop and ponder how 2018 has progressed thus far and how much they have each achieved. 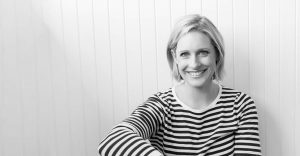 Lisa looks at her business wins, where she has honoured her decisions to focus on what makes her feel good and how that has had a MASSIVE impact on her business. Karly celebrates the personal and professional wins that have seen her have massive growth throughout the last 6 months. How she has had the two biggest launches in the history of her business. And how doing less (and letting go of some tasks) has yielded better results. For the first time EVER being 100% on top of her taxes and feeling in full control of the financial side of her business. 15:56 – Lisa and Karly reflect further on how far they have come and how their mindset has propelled them in their businesses. 21:47 Lisa and Karly ask you to take some time for yourself and celebrate the last 6 months. Jump over to the Facebook group to talk about your wins and celebrate! !